How can I truly express myself about this movie? HOW? One of the silliest movies I’ve ever seen. It was a very bad idea to make a 3rd sequel. 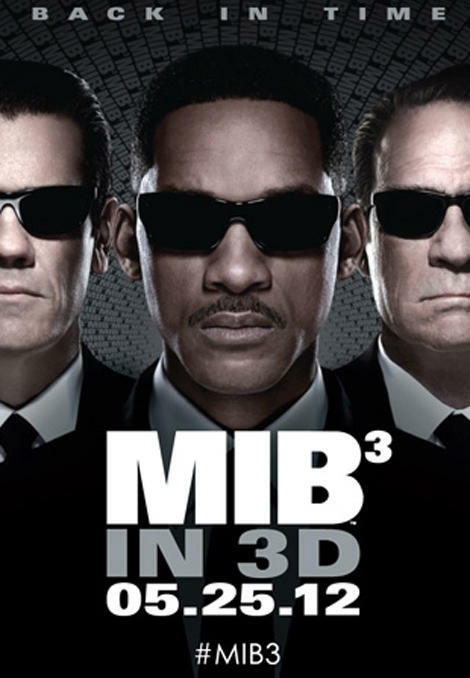 The 1st & the 2nd ones were just fine, we good actually, but this movie made me hate everything about Men In Black. What were they thinking about when they decided to make a 3rd part? make more money? The characters were also shallow & nothing special about them. We know few things about K & J’s past but still it wasn’t enough to make the movie interesting. Tommy Lee Jones looked very old & expressionless, thank the lord he didn’t appear in alot of scenes. The movie is a huge failure! Most of the Hit movies don’t care about what audience think. There main concern is how much money they will get back ! Aww, I’m sorry you didn’t like the movie. I actually went in thinking it will be so bad but I actually loved it! (I’m usually annoying when it comes to movies too.) I thought it was really a really good movie overall and Josh Brolin does a magnificent job at a young Tommy Lee. I also thought there was a good balance of action and comedy in the appropriate places & I will say, I actually liked it better than The Avengers. Definitely recommend seeing it and then making up your mind about which is your favorite! well, everyone has his own taste ofcourse! i honestly found it very silly! The Avengers was much better & everybody agreed to that!